I don't remember stumbling on this word. Once upon a time (only ten years ago?!) I studied J.R.R. Tolkien. Interested in the works that inspired him, I began working backwards from his writings and started reading older and older texts. The Middle English word "ferlien" (a verb) struck me because it not only means "to wonder" or "to be amazed", but it also means "to be frightened." The Middle English word "ferli" is a noun and means "a wonderful thing, adventure, sight, story" or "surprise, wonder, astonishment." Since I became familiar to the verb first, the noun also implies fear. I spent a long time living in fear - fear of the future, fear for my son, fear of the unknown. I had to force myself - make a substantial conscious effort - to see the beauty and joy and wonder in the things I feared in order to push through. Now, wonder and fear are inexorably entwined. There are many things I fear. But now, all of them also cause wonder. My boys and I discussed bravery tonight. My youngest decided he must be brave because he wasn't scared. My oldest said it couldn't be bravery without fear. And he's right. Fear leads to bravery leads to wonder and amazement. 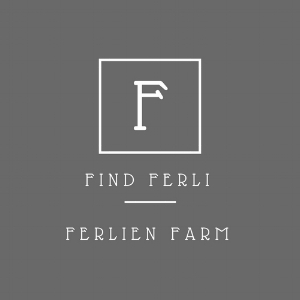 Facing your fears leads to ferli.